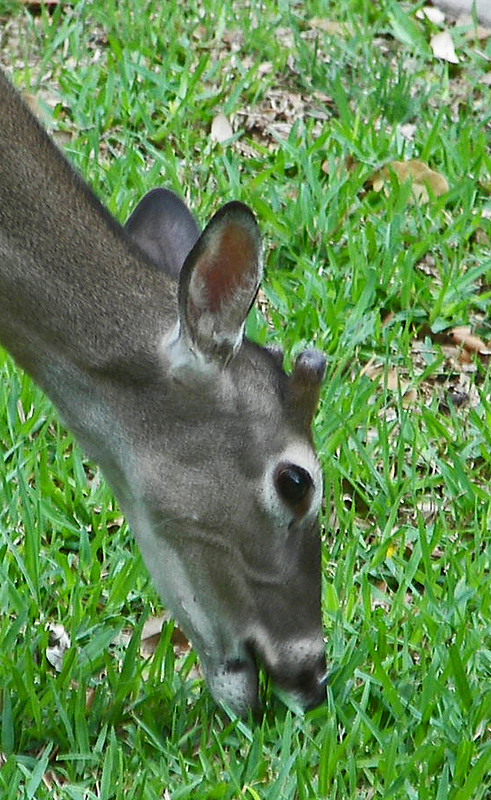 Do deer eat grass? If not, what do deer eat? 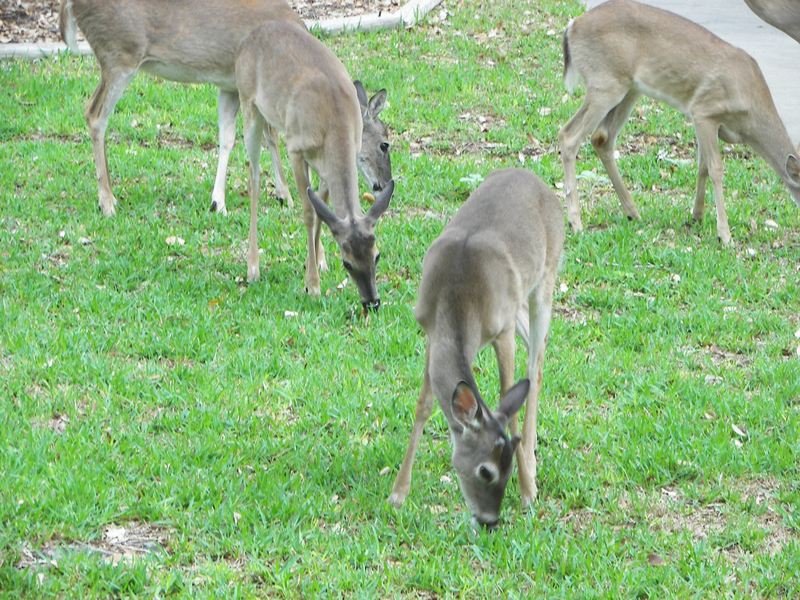 Deer do eat grass but it is not their preferred or nutritionally-necessary food. Deer eat mostly browse (leaves, twigs, shoots of woody plants and vines) and forbs (weeds and other broadleaf flowering plants). They do eat some grass, but only when it is young, green and succulent. The grasses which they prefer (a maximum of nine percent of their diet) are rescue grass, wintergrass, witchgrass, panic grasses, sedges, and rushes, as well as wild and cultivated rye, oats, and wheat. White-tailed deer prefer forbs when they are available. As forbs become unavailable, they shift their diet to browse. 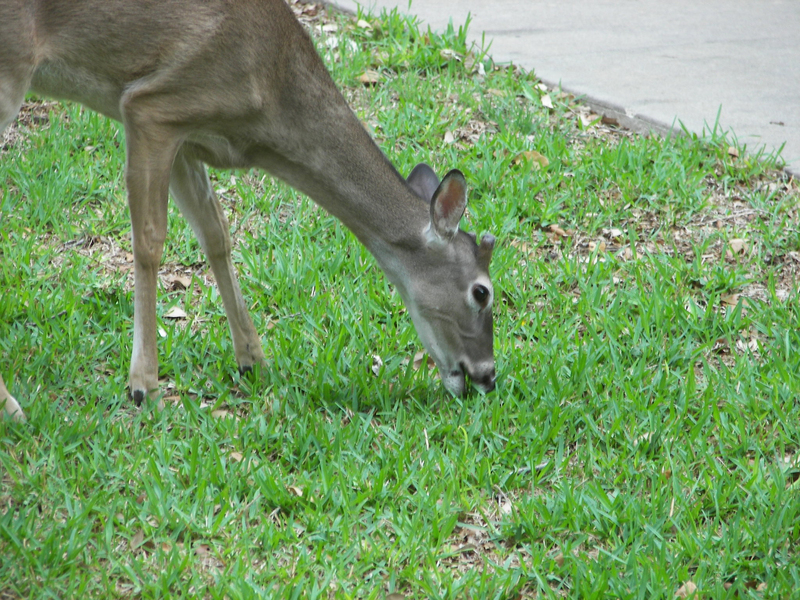 White-tailed deer cannot live on grass; in fact they could die with a belly full of grass because they are not physiologically suited to digest mature grasses. As forbs and browse are removed from the area (from excessive grazing/browsing pressure), exotics (Axis deer, Sika deer, etc.) can shift their diet to grass and white-tailed deer die from malnutrition. 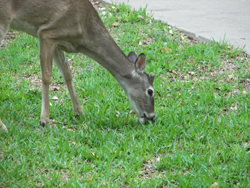 Most ornamental grasses are considered deer “resistant” when mature.